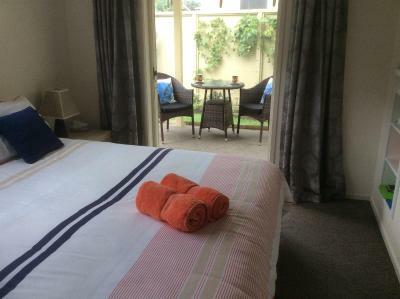 Lock in a great price for Albert Mews B and B – rated 9.8 by recent guests! 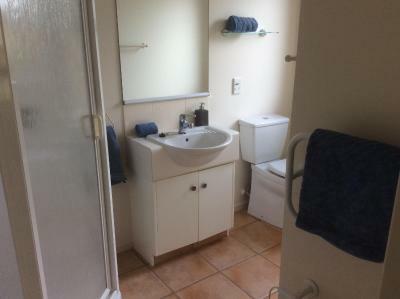 Exceptionally clean and comfortable! The hosts were so kind and helpful! Right down the street from the beach and several restaurants. Lovely accommodations! 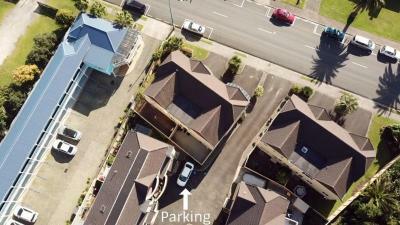 The location is in the heart of Whitianga, which is a charming harbor town with shops and lot of good restaurants within walking distance. The hosts are great. The us of space allows for even a kind bed, large updated bathroom, and a covered patio that makes for wonderful private place to sit in the morning. They provide a very ample continental breakfast and Kuerig coffee for morning. Super value. Joss and Murray have set the bar - their bnb is absolutely wonderful. 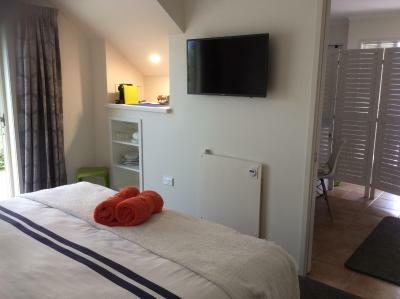 Immaculate, roomy , great shower, doing laundry was a great bonus, recommendation of the restaurant, the schooling of scallop harvesting, the conversations - so interesting. Breakfast was plenty. Everything here was so nice. The best location to walk everywhere too. 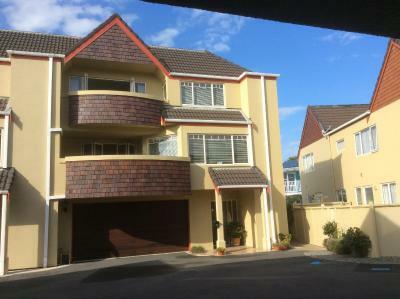 Jocelyn and Murray have a wonderful little B$B that we found to be immaculate, comfortable and convenient. They provided everything we needed and were very friendly hosts! We would have stayed 2 more nights but they were already booked. They even loaned us their shovel for the Hot Water beach and walked an important item we had left behind to our next accommodation. 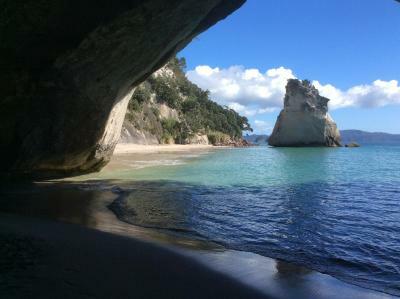 We highly recommend reserving this Whitianga treasure! Excellent place to stay, the owners are absolutely wonderful! Coffee was fantastic and the garden is absolutely wonderful! The fish and chips place just across the street is amazing! Excellent wee breakfast options considering the listing stated no breakfast! Location was perfect. 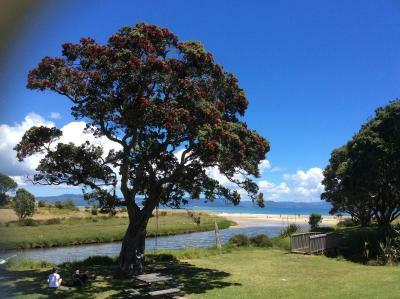 Very close to beach as well as ferry to the other side with great walks. Also very easy walk into town for meals, etc. The owners are very friendly and helpful. They are also very well traveled so very interesting to talk to. Very friendly, unobtrusive hosts. Very comfortable bed. 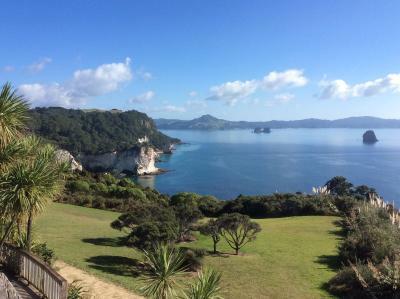 Located in Whitianga, Albert Mews B and B offers accommodations with an en suite and patio. 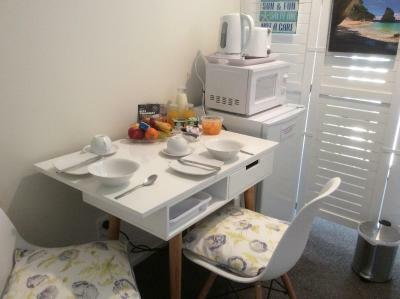 Free WiFi and daily continental breakfast is included. The room is equipped with a flat-screen TV and coffee machine. In the adjoining breakfast room you will find a refrigerator, jug and toaster. 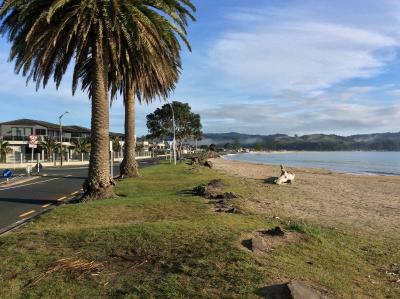 Coromandel Town is 28 mi from the accommodations. 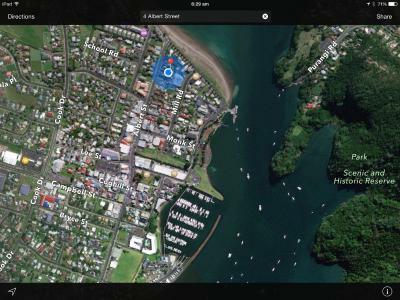 Auckland Airport is 112 mi away. 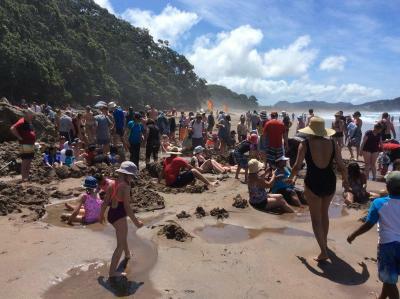 This is our guests' favorite part of Whitianga, according to independent reviews. 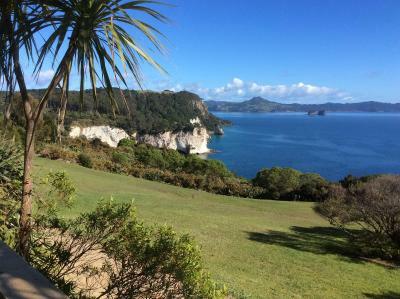 뀐 Located in the top-rated area in Whitianga, this property has an excellent location score of 9.8! 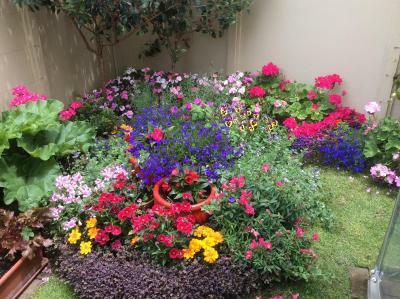 When would you like to stay at Albert Mews B and B? 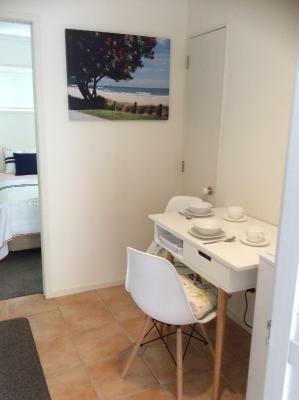 This double room has a dining area, patio and flat-screen TV. House Rules Albert Mews B and B takes special requests – add in the next step! Please inform Albert Mews B and B of your expected arrival time in advance. You can use the Special Requests box when booking, or contact the property directly using the contact details in your confirmation. As the room is on the ground floor, some noise from movement and bathroom above but not during sleep time. Nice, private, modern accommodation with more than we needed. The best hospitality I have ever experienced. The cleanliness and the very congenial hosts. 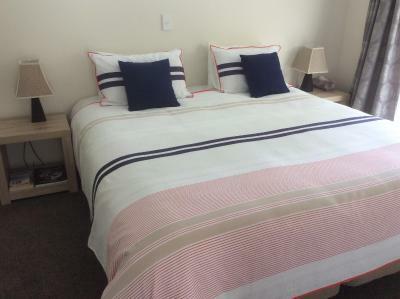 Fantastic value for money comfy bed. 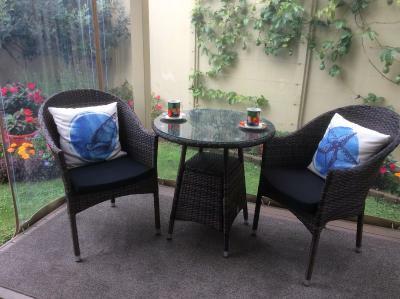 outdoor area for tea or a glass of wine. Fabulous hosts. maybe a footpath sign for better idenification of the property. 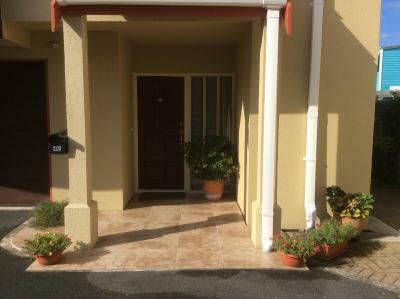 friendly hosts and the central location, comfortable and private. Fantastic location. Lovely room. Wonderful hosts. Friendly and welcoming with great breakie food! Location. own space. Breakfast area. Amenities. Friendly helpful owners.